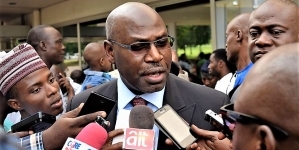 The Federation of International Basketball Associations (FIBA) has once again reaffirmed Musa Kida as the sole President of the Nigeria Basketball Federation (NBBF). This was contained in its latest letter dated 18th December and addressed to the Secretary General of the Nigeria Olympics Committee, Chief Tunde Popoola who had written to the apex world basketball governing body on the need to name the “eligible representative of the NBBF who will be at the (Nigerian Olympic Committee) (NOC) elective AGM and to vote” in Yola. 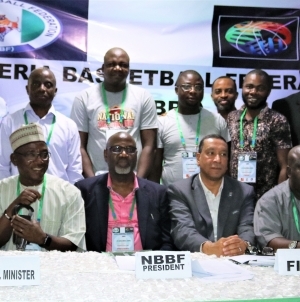 “Besides, FIBA notes that good progress is being made in regularizing fully the NBBF-FIBA relationship, which remains an internal matter of the basketball family, since the NBBF is not suspended and enjoy full rights as a member,” FIBA continued. 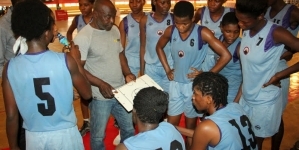 FIBA explained that having earlier received a letter from the NOC recognizing the board elected on the 13th of June 2017 in Abuja and the recent memo of the Federal Ministry of Youth Sports Development revalidating Kida and his board, the international body has deemed it fit to accord the board all the necessary recognition. The latest letter which finally put paid to insinuations in different quarters over who is in charge of basketball administration in Nigeria expressly named Kida who recently bagged a Doctorate Degree in Credit Management. The letter granting Kida (or a validly nominated delegate of his) therefore nullified the earlier erroneous pronouncement of the NOC electoral committee chaired by Alhaji Ibrahim Galadima that no board had been recognized by FIBA as the legitimate basketball federation. With FIBA’s position clearly stated on who is in charge of basketball administration in Nigeria, Engr. (Dr) Musa Kida called on all basketball stakeholders to join hands and contribute meaningfully to basketball growth. He said despite the recent landmark achievements recorded by the board since its assumption of office, more ground could have been covered especially at the home front if not the incessant distractions.